Many of us drink multiple cups a day without ever realizing it can taste a lot, lot better. Not only will you save a ton, this iced coffee tastes better too. Ordering regular black coffee is really a crap shoot: it could be burned, weak, or sitting for a few hours. To get a fantastic cup of joe that's full of flavor and not too bold, try an Americano. Nothing beats French press coffee, but sometimes it's just too involved to make in the morning. 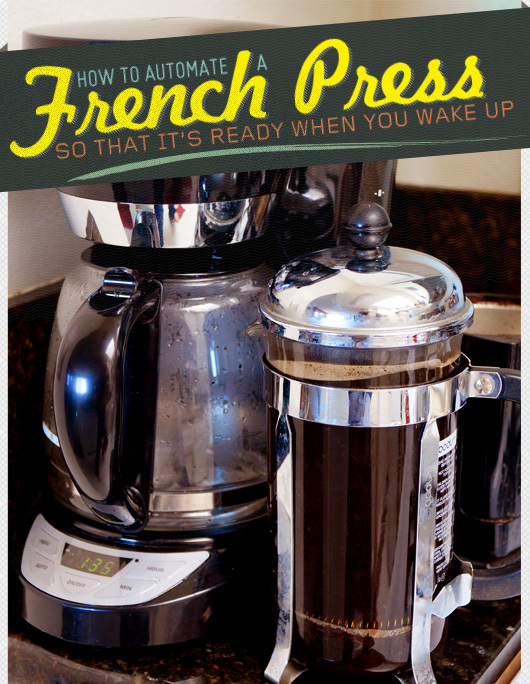 Now you can start your day by waking up to a fresh French press pot.